Bonnie “Mesanna” Armstrong, UO’s Associate Producer, posted this early today on the UO Herald website. 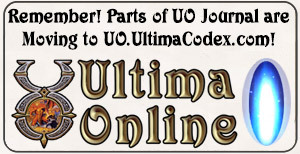 Ultima Online is proud to have the players it does, and we know that among you are people brimming with creativity and talent. We are proud to announce that we will be highlighting player’s creative talents using the www.uoherald.com site to display submissions from you, our players! For the month of June, we’ll be highlighting those of you are skilled at drawing, sketching, vector art, digital art, and paintings. Submissions that adhere to the following rules will be accepted and put in a gallery for viewing at the UOHerald website. So get those brushes and pens out, dust off your tablets and canvas, and put your imaginations into high gear! 2. All submissions must be received by 11:59 PM in your shards local time zone, June 30th 2011. 3. 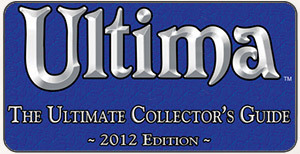 Submissions must be related to Ultima Online; please include a brief description of what your work is depicting in case there is any confusion. 4. Submissions must be made by a valid email address so if there are any issues, correspondence can be initiated. 6. Submissions must include the name by which you wish to be recognized for your submission. We’re looking forward to seeing the best of what you have to offer us, and we can’t wait to see the talents of our loyal players and citizens of Sosaria. Once your submissions have been checked over by your shards EMs, they’ll be passed along to us to post here on UOHerald after the deadline for submissions has ended! Now the UOEM.net website – you need to look at your shard’s website. For instance, Lake Superior is LakeSuperior.uoem.net, Atlantic is Atlantic.uoem.net, and so on. My thoughts are this: This is a good attempt at reconnecting with the player community, and it’s going to add content to UOHerald.com, player-driven content. The UO devs have discussed player-driven events becoming more important, and while this is out-of-game, I think it feeds right into that attitude.